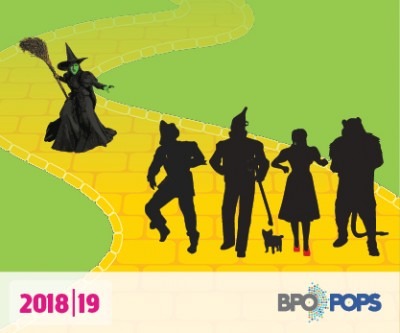 Defy gravity and travel over the rainbow with a cast of top vocalists as we take a musical journey down the fabled yellow brick road and through L. Frank Baum’s classic novel, The Wonderful Wizard of Oz. The event pays tribute to the story as told on Broadway (Wicked, The Wiz), in Hollywood (The Wizard of Oz, Return to Oz) and on the radio (“Goodbye Yellow Brick Road,” “Tin Man”). This show is especially noteworthy to Buffalonians as the composer who started it all, Harold Arlen, was born right here! Friday - Come at 9:30 AM for complimentary coffee and doughnuts.